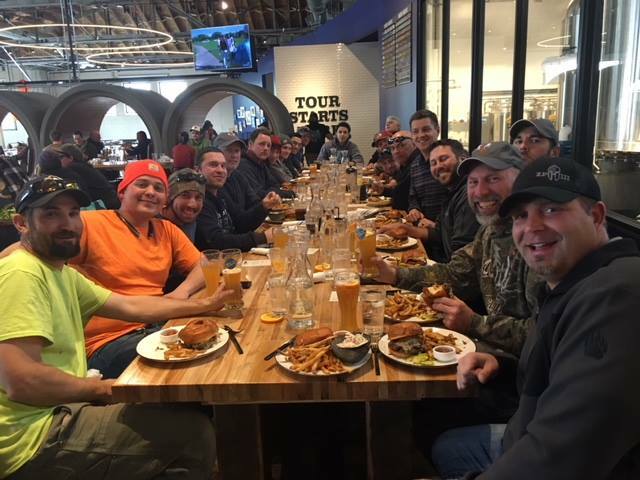 Kelly Eustace, HPE President, was excited to take the Team HPE crews from our FLIGHT and Zeppelin projects out to Blue Moon Brewery Co. last Friday as a token of appreciation for successfully completing both projects! Everyone had a great time celebrating their accomplishments together with Kelly and their teams. Cheers to our FLIGHT & Zeppelin crews for your fantastic work!